Joint replacement is becoming more common, increasing our quality of life and scope of activity as we age. There are several aspects to consider when returning to diving after a joint replacement, including the risk of damage to the replaced joint, emergency response and the risk of decompression sickness (DCS). Remaining physically active is vital for our general health and important for maintaining bone quality. Better bone quality may help improve stability of a replaced joint, but too much of the wrong activity can cause wear and tear, fracture, loosening and destabilization of the implant and may require surgical revision. Survey studies and consensus recommendations of orthopedic surgeons show that most surgeons recommend low- to moderate-intensity physical activities — such as walking, swimming or cycling — after joint replacement. They discourage high-impact or contact activities such as running, soccer, football and hockey. Any return to physical activity after surgery depends on complete recovery. Your surgical incisions need to be completely healed, and any complications such as infections must be resolved. To safely dive, you must be able to lift and carry your equipment without any limitations due to pain or restriction in motion. Pain medications that may impair your ability to respond to changes underwater could cause injury or even death to you or your fellow divers in an emergency. Even after you have recovered from the surgical procedure, you’ll need to have also recovered your strength and endurance to deal with any emergency situation that may arise. A theoretical increase in DCS risk may also warrant postponing diving. 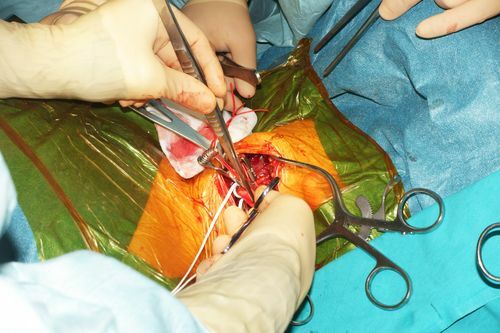 Any condition in which blood flow to tissue or joints is compromised could hypothetically impair inert gas elimination and perhaps increase the risk of DCS at surgical sites. At this time, however, there are no objective data to support or quantify an increased risk of DCS at well-healed surgical sites without complications. Returning to diving after joint replacement isn’t necessarily straightforward and should always be assessed on a case-by-case basis. Once your surgeon and a physician with an understanding of dive medicine clear you for diving, we recommend a gradual return. Start in a controlled environment by swimming in a pool with fins, then work your way up to diving in a pool, then eventually move to open water. As with diving after an injury, there is no guarantee that you won’t reinjure the joint or be at increased risk to develop DCS, so diving conservatively is a good idea.